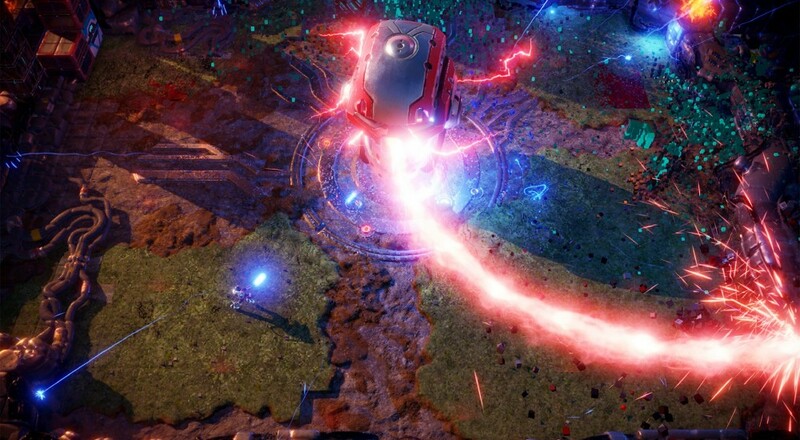 While the next Housemarque title, Nex Machina, was announced this past December at the PlayStation Experience, it was unsure if they'd follow the trend of their past games and include co-op. Fortunately for us, the Finnish developer has cleared things up and announced that this title will have two player local co-op. The game is touted as being inspired by Robotron and Smash TV, the latter of which is one of the all-time favorite titles of our founder, Nick Puleo, so that's certainly promising. The former is likely due to Housemarque teaming up with Eugene Jarvis, the developer behind Robotron: 2084, for this one. It seems like an ideal pairing, considering how much Housemarque has been bringing those classic shooters into the modern age with all kind of splendid special effects. Nex Machina will be released on PC and PlayStation 4 on June 20, 2017. It will support two player co-op locally throughout the main game mode. Page created in 1.4468 seconds.